You are » Home » viewing the Sarah Powers Media details. 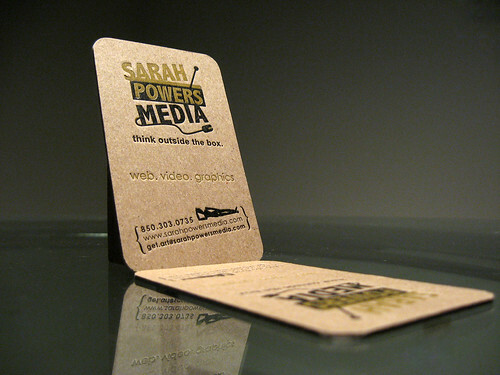 These business cards were printed on kraft paper by Dolce Press. Chartreuse and black ink were used. The cards also have rounded corners to soften the look.